Motorola's G series became a hit almost instantly thanks to solid build quality, clean software, and a fantastic bang-to-buck ratio. The second-gen version is no exception, and its upgraded hardware has also caught the eye of the enthusiast and aftermarket community. 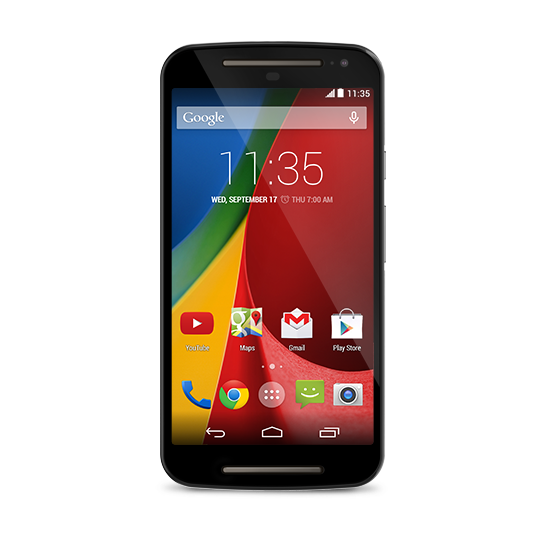 Though the standard model of the Moto G 2014 already has Android 5.0 (at least in some places), owners now have the option of installing the CyanogenMod custom ROM. A nightly build of said ROM, to be exact. The CM team posted its first CyanogenMod 12 build (based on Android 5.0) for the phone last night, under the code name "titan." You can grab it from the CM download page now, though you might want to hold off on that. Nightly builds are the least stable option in CyanogenMod's repertoire, sometimes including annoying bugs and performance issues (though they can also be clean as a whistle). Since the Moto G 2014 has an official Lollipop option, you might want to wait until the more stable "M" builds become available. If you're more interested in CyanogenMod's customization features than in a squeaky-clean software experience, feel free to grab it from the link above. You'll need a custom recovery to install it (backup recommended), and a separate flash of Gapps is required for access to the Play Store and Google services. Get after it.